Q: I am considering getting a perm and my hair is relatively short, straight and fine. It gets quite cold where I live so being able to wear a hat is essential during winter. Will I still be able to wear a hat without ruining my perm? Or will my hair look flat and straight whenever I do wear a hat? Any advice you have would be much appreciated! A: Well, properly executed, a perm should leave your hair to behave much the way naturally curly hair would behave. Obviously, wearing hats will have an effect on your hairstyle, but that effect will depend largely on the type and style of hat and how long you’re wearing it. The basic idea behind a perm is that it changes the hair’s “natural” configuration to curly from straight, so that it aims to be curly more readily. But a perm makes this alteration by rearranging the chemical side bonds in the hair and these chemical side bonds only account for around a third of the hair’s strength. Wearing a snug-fitting cap in winter can result in permed hair being “mashed” just as it can with nearly any style. You simply need to take the other factor into consideration when planning either your hairstyle or your winter weather wear. 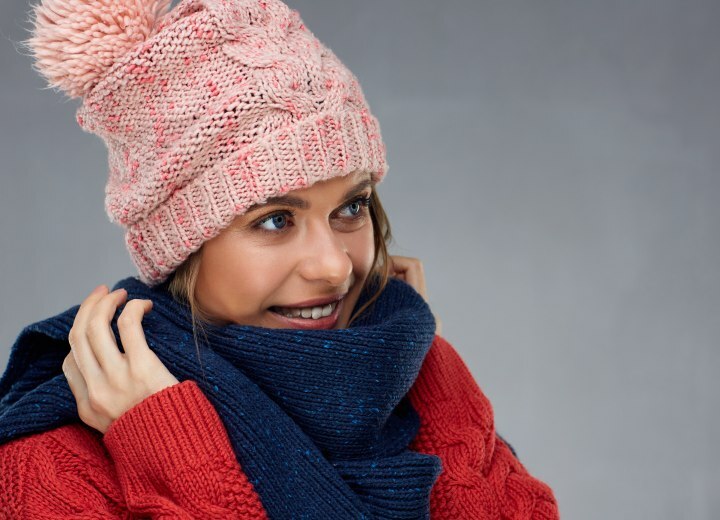 Either choose a hairstyle that will be compatible with wearing a hat, or select an option for winter wear that won’t wreck the style you desire to have (perhaps a loosely-wrapped woolen scarf?) when you go out in cold weather.